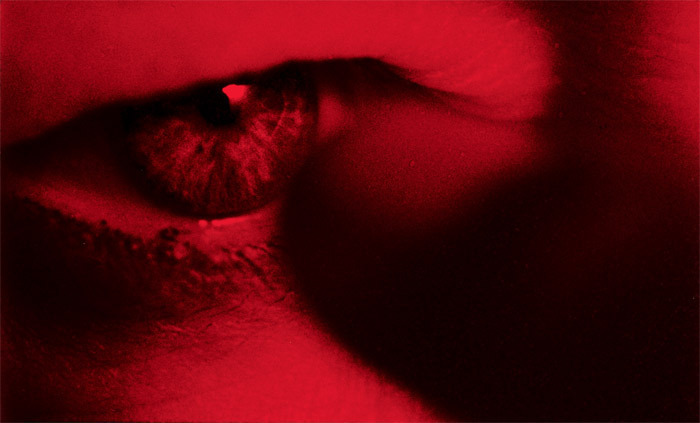 PROJECTED CLOSE AGAINST A WALL in a large, dark gallery, the saturated red of Steve McQueen’s 16-mm film Charlotte, 2004, produced an intimacy with the viewer every bit as charged as the contact that occurs between the artist’s finger and Charlotte Rampling’s eyeball. McQueen’s insistent probing, with occasional pauses to explore the sagging skin of the actor’s closed eyelids, alternated with handheld pans over fragments of Rampling’s face that read as both explicit and abstract. The film’s overspill of color onto the floor and surrounding walls gave the moving image a sense of physical presence, a feeling of depth, allowing for a haptic encounter that materialized again and again in this midcareer retrospective of fifteen works from between 1992 and 2012.